Even ride with gps creates a online account to store your information incase it’s lost from your device. Strava wont share data if your privacy settings are set to your requirements within the app. Just went to check the size & to see if the left hand crank would push in & found the nut loose enough to undo by hand. Note to self check tightness before thinking worse case scenario. Thanks for all the info/input/advice, greatly appreciated. It’s a double, might have to measure it, bought the bike second hand last year & only just noticed this. 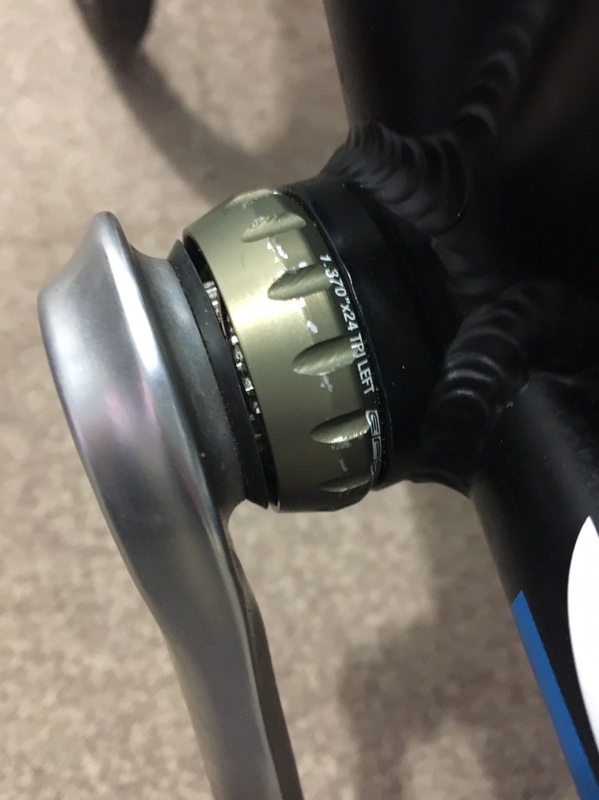 Just a quick query I noticed this on my bike, is this normal for Campagnolo to have this gap ? I use the park tool super patches & I’ve never had any issues with them, my mate uses slime skabs & they to have never let him down, I suppose it personal preference & experiences. It is Good going by robo, I know I couldn’t do it without fuelling especially not having a good breakfast. You get a free 25km trial on Zwift, it’s not a bad training program. But on a personal preference I prefer sufferfest. It’s the typical quick/easy fix that masks the problem by directing the issue away from the actual issue. It’s motorists perception of cyclists & their vulnerability that needs to change. Helmets will not encourage this sort of change. I register all mine on the bike register, it helps not only on getting your bike retuned in the event it stolen & for sales as it gives you a log book for the bike as proof of ownership.